Momentum is so important in many aspects of our lives. When we are ‘on a roll’ confidence builds, the daily bumps don’t impact you as much and good things seem to follow. Momentum is hard to achieve and even harder to sustain and it is therefore important to recognise it and celebrate it, especially with early stage businesses. At Wazoku, we have worked hard to achieve the momentum the business is currently experiencing and have some important milestone moments I wanted to recognise and celebrate. In the early days of the business, I used to do this more, and it is a shame that this gets harder as you grow; after all, many of the things we use to celebrate are nearly daily events now. Such is the cruel irony of momentum! We did give this one a bit of acknowledgement, but it is worth another mention. 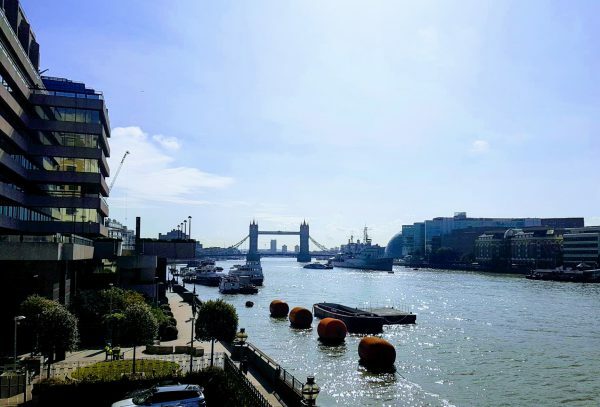 In early September, we relocated our London office from North Action down to a riverside office in the City of London. Having raised growth finance earlier in the year, we were keen to find a new office location. In our wildest dreams, we never really thought we would find one riverside with views of the Shard, HMS Belfast and Tower Bridge. But dream big and big things can happen. Alongside this exciting new HQ, we have welcomed several new team members too. It is a really exciting time across the business! This week we are officially opening our new sales office in Copenhagen. We have spent about 12 months exploring options for expansion and evaluated a number of cities across Europe. More expansion into other areas will come, but we have selected Copenhagen as a sales base and are excited by the early successes we are already seeing. 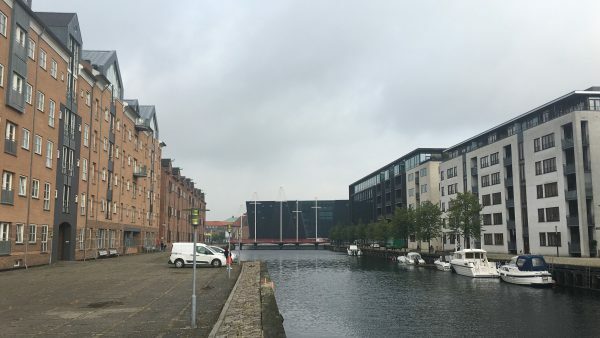 Copenhagen is a great city with a big focus on innovation, a large business community and has been very welcoming to us in all aspects, since we elected to make it our Scandinavian home. We will use this as a base as we look to expand our footprint across the Scandinavia region and have big ambitions for growth in the coming months and years. If anyone would like to join us at our launch event on Thursday, 26th October you can sign up here. In early 2017, our platform reach surpassed 1 million people. It took us just over 4 years from the launch of our enterprise platform to hit that milestone. I do not have the stats to hand, but I am sure that many SaaS platforms never achieve this scale, and it is absolutely something we should shout loud and proud about. On top of this, with the wind in our sails, that audience continues to grow and it will be a much shorter timeframe to the second million if recent traction continues, and with some of the world’s best brands and most aspirational companies partnering with us on long-term engagements to help them become EveryDay innovators, the team is confident and momentum is high. Valuation – Where possible, we seek to quantify value and can report billions of pounds/dollars/euros of benefit across our client base, both top line and bottom line benefit driven by having a more open, embedded and structured process for ideas and innovation. Engagement – We look at sustained and repeatable engagement over time and incentivise a range of engagement types. In a market where many struggle to get any meaningful engagement (we hear too many stories of <10%), we pride ourselves on achieving, on average, over 90% activation and 45% engagement on a rolling basis. Good practice sharing – As the results flow and benefits are delivered, it is important that these success stories are shared and the learnings facilitated. Too often the additional benefits are missed or lost, as successes are not shared effectively. Measuring the engagement and reach of best practice stories and successes is important and something we work closely with our clients on. I am sure there is a lot more that I am just taking for granted and missing from this post. There is so much awesome work across the team, I have no doubt that is true. For now though, I just want to say a huge thank you to all those who are champions of what we are doing at Wazoku. Thank you to my awesome team, to our loyal customer base, who are all striving to become EveryDay innovators, to the incredible partner network with whom we are able to deliver incredible customer stories and to all the champions out there who recognise a more open, scalable and collaborative way to drive and deliver innovation at all levels of our organisations.